Virginia Democrats are facing their worst news cycle in recent history. First, the Governor was embroiled in a racism scandal, then the Lt. Governor was hit with sexual assault claims. Now, the Attorney General is facing a blackface scandal of his own. Attorney General Mark Herring (D) has just admitted to dressing as an African American rap artist and wearing blackface during college. The Admission comes after Herring called for Governor Ralph Northam (D)’s resignation who is facing a similar blackface scandal. As the Attorney General, Herring is third in line to become Governor of Virginia. Across the nation, Democrats have already called for Gov. Northam to resign. Herring appeared to be a likely candidate to succeed both Democrats in the case they choose to resign. But now, Herring’s prospects of becoming governor have just diminished. Late last week, Herring had said “it is no longer possible” for Gov. Northam to stay in office after his link to the blackface and KKK photo on his yearbook page was revealed. In a written statement, Herring revealed how the events unfolded. Herring wrote that he recognizes it sounds ridiculous now, but at the time he “did not have an appreciation for the experiences and perspectives of others. Later in his statement, Herring swiveled to describe his career of fighting for the rights of communities of color. He described several efforts, including his work to restore the rights of felons to vote. Herring only state he’s considering stepping down. 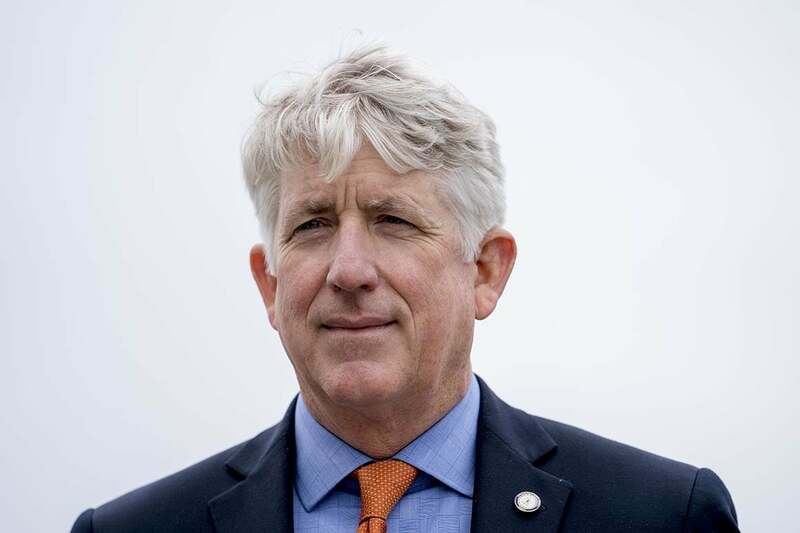 Should Attorney General Mark Herring resign after these revelations? Will his actions affect his run for Governor of Virginia? I sure hope his revelations affect his ability to serve as present AG or to serve as Governor should Gov. Northam & LtGov Fairfax resign or his ability to run for Governor in the future. He is as bad or worse than his state government cohorts. He would definitely support Northam’s infanticide policies. He is more of a gun grabber than current Gov or LtGov and more than any any VA AG in history. His leftist policies, including environmental extremism, pro-illegal alien support and anti-business lawsuits, would be terrible for VA.
All of this is ludicrous. So a white man wears make-up and pretends to be someone he admires. Ever see the movie ‘White Chicks?’ 2 black men dress and wear make-up to appear to be white weman. No offense taken there either. That’s why they call it acting and make-up. I don’t like the politics of liberal lawmakers, but I find this absurdity about blackface just that…absurd. Now the LEFT is tripping over their own ‘political correctness’ that now one can avoid tripping over at some point. Try worrying about those babies being left ‘comfortable’ after being born; while mom and physicians determine its fate. If any of the three were Republicans, every Democrat, all of the press, and every late night TV host would be demanding their resignation/impeachment/firing. It will be interesting to see how this plays out as none of the above will be able to evade the obvious hypocrisy of the previous treatment of Justice Kavanaugh and the 2017 campaign to portray Gillespie, and later Trump, as racists . Regarding Northam there is the photographic and written evidence contained within two yearbooks from separate institutions. Herring belatedly attempted to preempt the revelations of his “Dark Face ” (per the Washington Post) through admission after he threw Northam under the bus for the same behavior last week (with friends like these … ). Now Fairfax is casting blame upon Northam suspecting he was responsible for bringing the sexual assault to light to deflect from his own problems. Would someone please pass the popcorn? Regarding the sexual assault allegation against Fairfax, he has admitted the activity took place but claimed it was consensual although he was in the position of senior management and an adult involved with a younger intern. They are both Democrats. They are both Black. Contrast this with the public pilloring of Justice Kavanaugh for an alleged assault when he was a 16 year old high school student, that supposedly took place 40 years ago, upon allegations made by a very poor and supposedly reluctant witness, whose testimony was thoroughly picked apart, and whose testimony could not be substantiated by any of the other persons she claimed were present. She was also a liberal Democrat. In addition Justice Kavanaugh was able to provide exculpatory evidence showing he was out of town when the alleged assault took place . Still the chorus against his confirmation only grew louder. I have no doubt that the Democrats and the media will now pull out all stops to salvage the Governor, Lieutenant Governor, and the Attorney General but this whole episode will taint the entire Democratic party (and the supposedly neutral press) in 2020, to the continued detriment of both. I hope they choke on their hypocrisy. Herring said Northam should resign because of the blackface/KKK photo, so Herring needs to follow his own advice! The 3 stooges: Northam=blackface/KKK, Fairfax=women harrassment (maybe more), Herring = blackface. None of these people represent the majority of Virginians thinking. It is not political, but is about poor judgement, morals, ethics and decency. RESIGN now. MY HATS OFF TO THESE GENTLEMEN….. VIRGINIA IS BEEING SET UP….IT’S A CONSPIRACY…. EVEN STEVIE WONDER CAN SEE THAT. DON’T LEAVE IS MY MESSAGE TO THE GOVERNOR, LT. GOVERNOR AND AG. THANKS FOR STAYING AND CONTINUE ON. WE KNOW WHOSE TRYING TO DEFACE VIRGINIA GOVERNMENT…… WE KNOW. GIVE ME BREAK WITH THIS MESS!! !